Melissa is Kurt’s girlfriend (and as his girlfriend, she puts up with a lot). She is considerably smarter than Jason and has a younger sister. On the radio, Melissa uses the callsign “Racer Aslyum,” a modified version of her name spelled backwards. After serving as Lead Concessionist for a year, Melissa was promoted to Shift Manager in Summer, 2011. 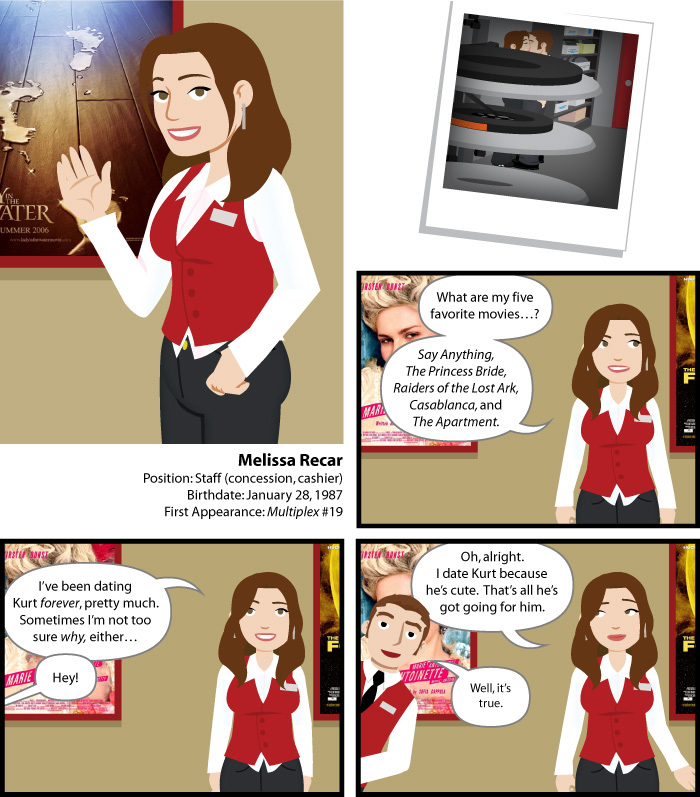 Gradually, Melissa has come to feel that she had been treading water in her life and in search of some kind of change, she asked Norma to recommend her for a “floater” position with Feature Cinemas, the theater chain that runs the Multiplex 10.